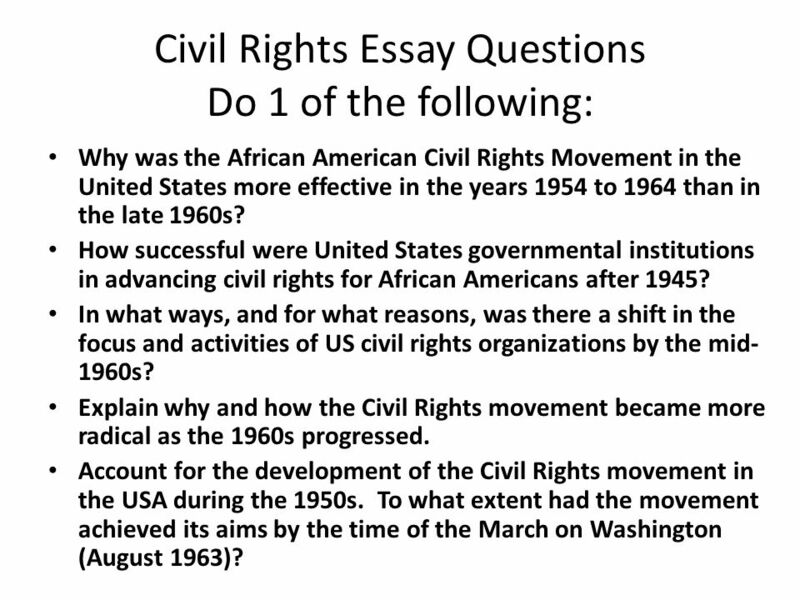 Essay Outline: The American Civil Rights Movement. Question: What are some of the things that contributed to the success of the civil rights movement in. America in the 1950s and 1960s? Get a copy of the outline from Ms. Utley or from the blog. There is a section on the outline for each of the five paragraphs in your essay.